Terry Irving, the Washington, D.C.-based author of the breakthrough thriller Courier and an Emmy award-winning television news producer, has found while researching his latest book that, to his surprise, Richard Nixon's criminal betrayal of the nation was far beyond anything anyone but the most radical would have thought in the 1970s. "I can remember reading Hunter S. Thompson's coverage and thinking that statements like 'Richard Nixon was an evil man…utterly without ethics or morals or any bedrock sense of decency' were paranoid and irrational," said Irving, who worked for ABC News during the scandal and witnessed firsthand many of the now legendary events. 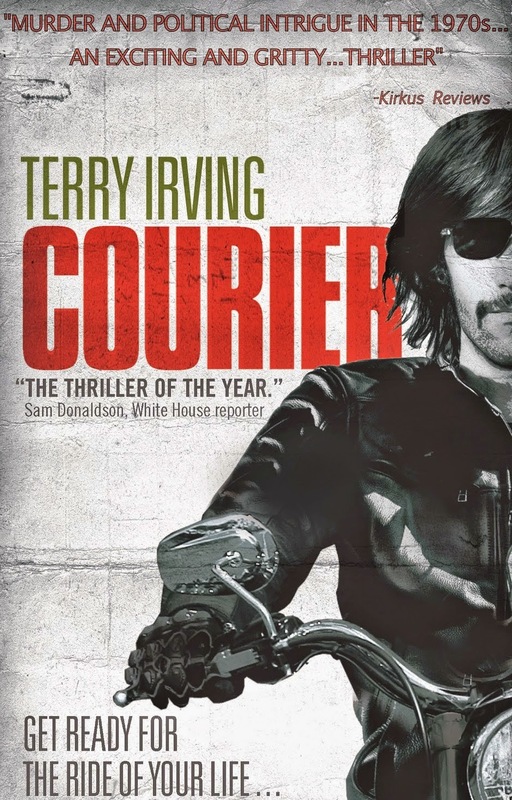 However, Irving's attitude changed dramatically during his extensive research for his breakthrough thriller Courier. The critically acclaimed novel tells the story of a Vietnam veteran and Washington, D.C., motorcycle courier for a major network news organization who picks up a reel of film and finds himself the target of a shadowy government kill squad determined to keep this story from the American public. Irving himself rode a BMW for ABC News during Watergate and had a front row seat for events ranging from the "Saturday Night Massacre" to Spiro Agnew admitting he took bribes in the vice president's office. Irving said that as he wrote the book, he thought the central secret in Courier —that Nixon was taking money from the South Vietnamese in 1972 to prolong the war — was great as a novel's plot device but a bit unlikely in reality. "Like everyone else, I’d moved on to other stories and believed Watergate was a somewhat minor and predominately political affair. Wow, was I wrong," Irving said. "What amazed me most in doing the research for Courier was the increasing realization that Richard Nixon truly was a crook, despite his famous denial, and his administration was a criminal enterprise far beyond anything I could have imagined." Much of Irving's information comes from new books that have reviewed and analysed notes, tapes, and trials that became public years after Nixon's resignation. Many of these revelations have previously been reported, but Irving believes that most Americans have forgotten the sheer enormity of truly criminal acts involved in Watergate and think today's political scandals are comparable. "Watergate can't be looked at in a Republican versus Democratic way," Irving said. "It was a criminal cabal that used the entire federal government as a personal cash cow and a political weapon of frightening power. There is nothing happening today that comes anywhere near."